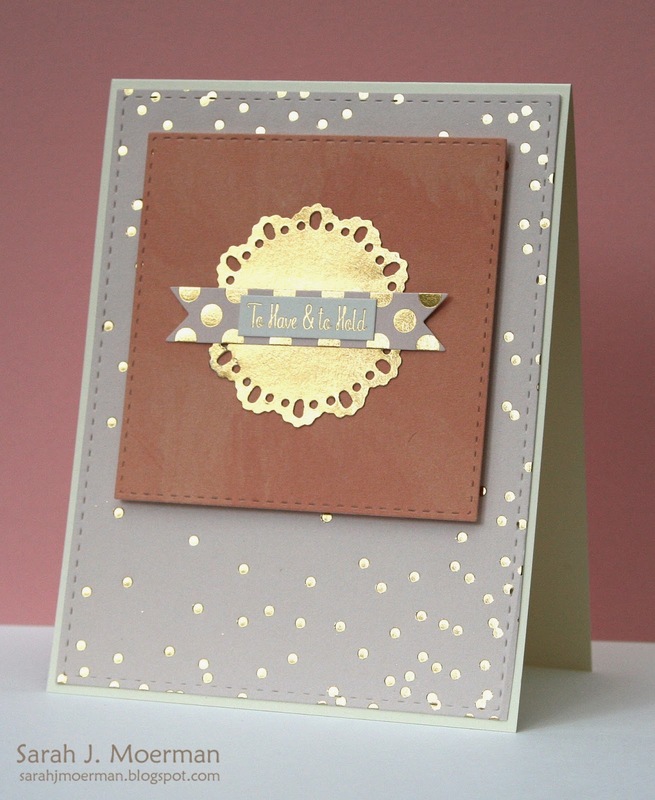 For this card I die cut the gold dotted paper using the rectangle from Simon's Bundle of Stitches set and the pink paper using Simon's Stitched Squares die set. I used foam adhesive to adhere the square to the dotted piece and layered the three stickers shown for my focal point. I think this one is pretty explanatory too. The banner from Simon's Congratulations Stamp Set was stamped with the wonderful new Simon Says Stamp Pale Blush Pink Dye Ink and cut out before having the Mr. & Mrs. sentiment stamped on top. Then the papers and stickers were pieced together. Be sure stop by tomorrow! 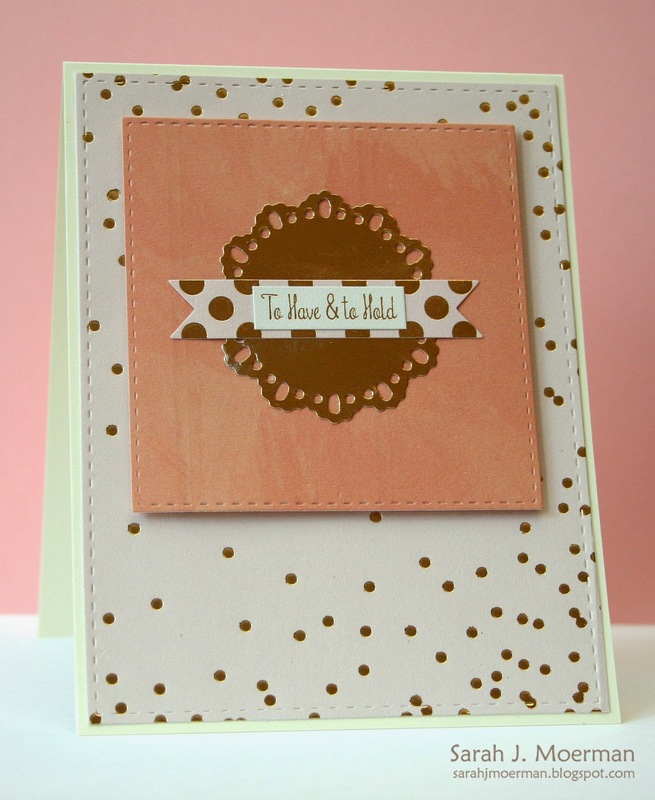 I'll be sharing a card made using the fabulous brand new Simon Says Stamp Falling For You release! Oh wow these are all gorgeous! Love how many projects come from one kit! I am loving all the gold! Fabulous set of cards..the papers in this kit are wonderful. nice wedding cards. My daughter is getting married this summer and I have needed some ideas. These are just so classy! Great cards! Love that kit! 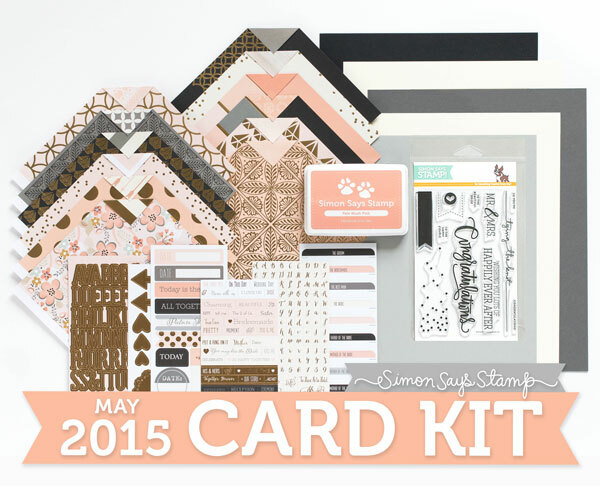 Love how you have used this kit for these beautiful cards!!! I love how you use this kit, your cards are so elegant and beautiful! Beautiful cards, again!!! I really love those gorgeous sentiments & am crazy about that dotted paper. I can see I need this kit!! These are beautiful, I can see you had so much fun with this kit. Such a great set of cards! 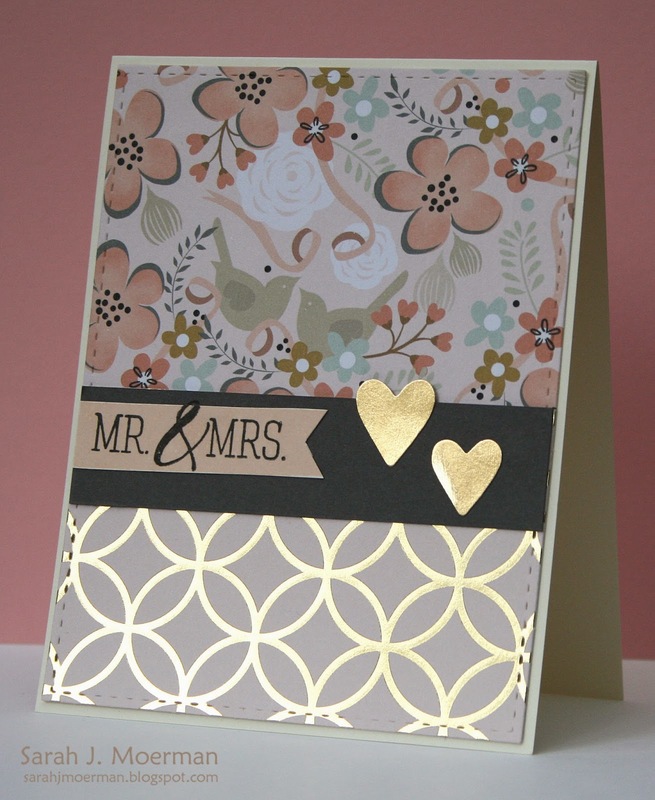 Oooh, I love the gold on these cards and the simple styles with the banner! Wow!!! These are gorgeous!! I just love these pattern papers!! These look so elegant in their simplicity. Perfect for summer weddings. love that second card - the way you paired the patterns, the design. great! ...And they are all stunning!! It's amazing what you have done with these beautiful and shiny papers. I've really got to look at my designer papers in a different way...thanks, Paulette S. Amazing!! They'd make elegant birthday cards too. What a fantastic kit this is, all of your cards have been incredible!!! All the gold & the stamp set is making me drool! I adore your creations with this kit! Love the colors and the fun gold accents! I really love the first card with doily and banner. Very pretty! Seriously gorgeous papers in this card kit. So rich looking - your cards almost seem as though they're crafted from leather. Your cards are amazing. I love the papers in this card kit. So adorable wedding cards. All of these designs are unique. At one of the local NYC wedding venues my sister is marrying soon and I am planning gift a huge pop up card to the couple with some collage kind of surprise inside it. Is there anyone who has some ideas regarding that?